One of the newest Marine Travel Lifts on the Gulf Coast, this 50-ton capacity lift is loaded with every option available including two-speed winches, allowing fast haul-outs and full operator remote operator control. 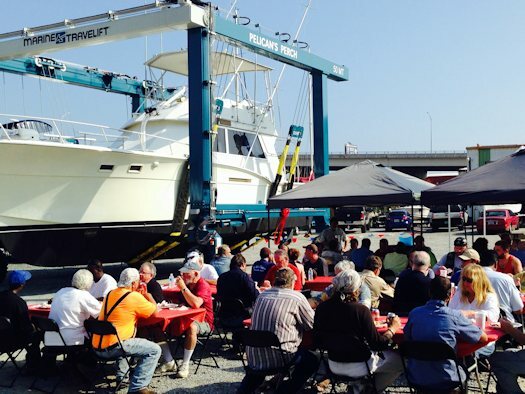 Hauling your boat in Pensacola never looked so good! Popular self-help and long-term project destination. 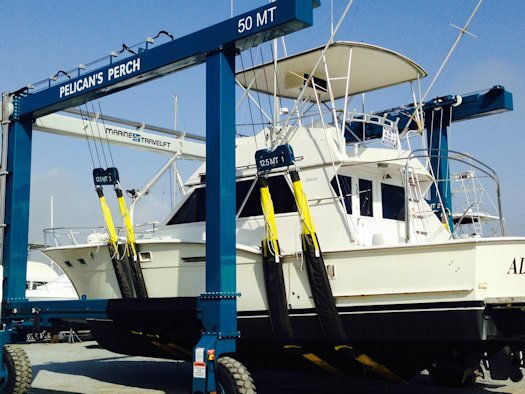 Pelican's Perch Boatyard maintains a comprehensive listing of qualified local marine contractors. These insured companies are available to assist with repairs from major structural fiberglass and wood to engine repowering and the latest in marine electronics and canvas repairs. State of the art Bellingham Floating docks with individually metered electrical hookups. Ideal sailboat location with abundant maneuvering space for easy docking and convenient automobile parking. The marina enjoys a protected location with easy access to Pensacola Bay.